Education vs. Creativity– What is the point of education if you in yourself are not intelligent? If you are not creative? Next Mom’s kids class Friday 9/26/14 6:15pm, hope to see you there. Next Kenpo Revival Signature class for Adult Black and Brown Belts current and Former Saturday 9/27/14 11:00am. Barbra started with AASD in July 2007 as a total dedicated Kick-Robics student. Always in class, Barbara has set an example of attendance that would be hard for anyone else to match. 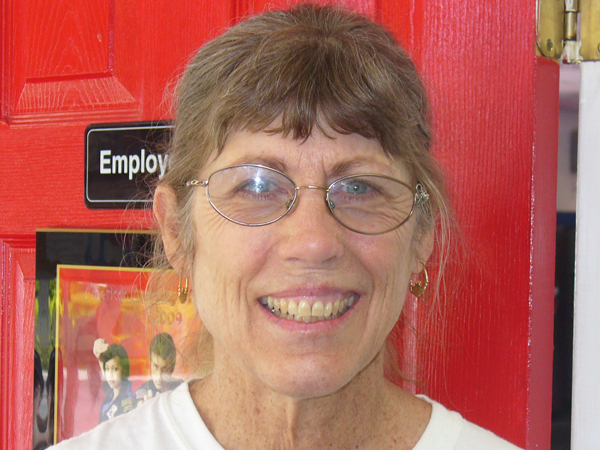 Recently Barbara has decided she couldn’t stand by anymore and has joined our martial arts classes as well and is already on her way to obtaining Black belt, job well done Barbara. This month, we are talking about timing. You probably know more about timing than you realize. many of the activities you do every day like riding a bike, jumping rope, or cooking would be impossible if you didn’t know the right time to jump, push the pedals, or add an ingredient. Timing is important in many different areas of our lives, but deciding when it is right to act immediately and when it is time to patiently wait can be really tricky. Examples are if someone is getting hurt, being picked on, or doing something that might hurt others, we need to react immediately. Other times, if there is something we want, something we need or something we want to say, it might be better if we waited. There really isn’t one rule that will show you what kind of timing is right for each situation. Even adults can have a hard time deciding what to do and when to do it. So it is okay to make mistakes, as long as you learn from them. Just like jumping rope, learning about timing takes a lot of practice. What did the fork say to the knife? Any animal — a house can’t jump. Exact, accurate, and careful about details. Her kicks were so precise; she hit her target every time. Precision and accuracy are great qualities for a martial artist to have, but they are also important in other areas of life. What could happen if you weren’t precise when you finished your homework, did your chores or described a new toy you wanted for your birthday?